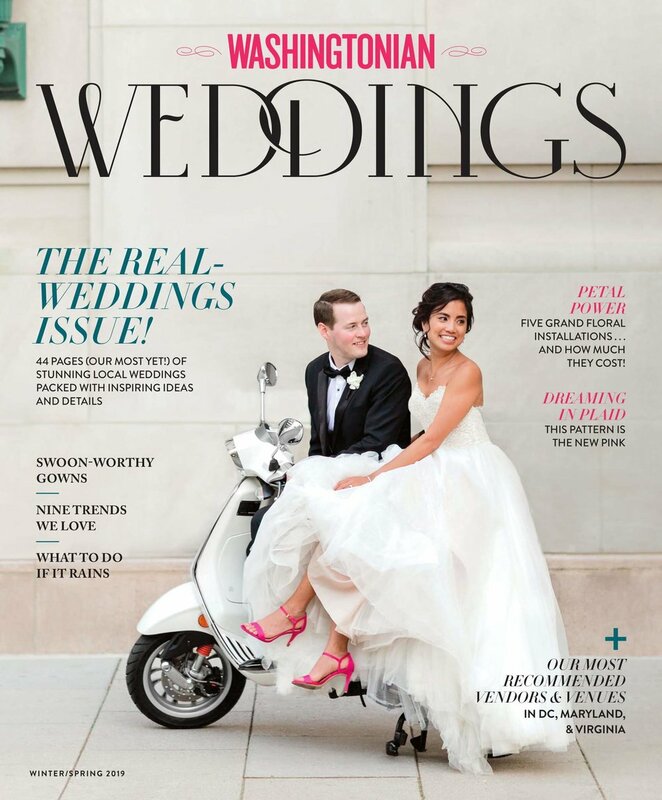 How can you not smile at this picture by Alicia Lacey Photography of KC and Andrew on the cover of Washingtonian Weddings? 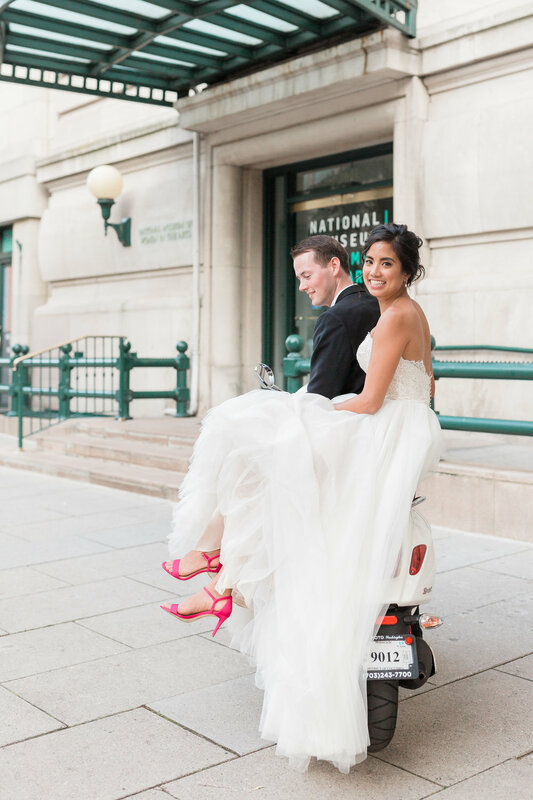 Laughing newlyweds, a Vespa, a gorgeous dress and fuchsia heels? Done. We were told awhile back that one of KC and Andrew’s wedding photos was being considered for the cover of the spring issue of Washingtonian Weddings. Then it arrived on the stands and you know we started searching for copies! The back story of this photo makes us smile as well. Rachel was the lead planner for KC and Andrew and enlisted Jorian and Aimee to coordinate the sunset photos. Aimee, who loves any motorized two wheeled vehicle, volunteered to get the Vespa from a nearby garage and move it into place. 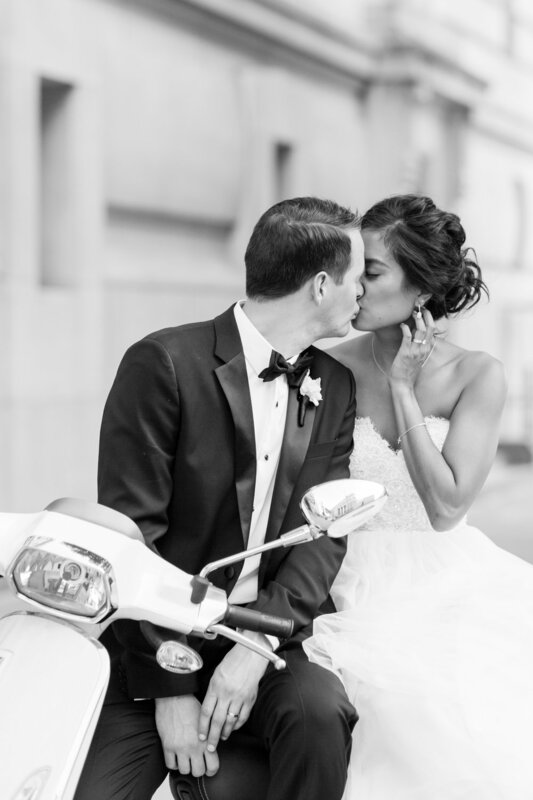 Thank you again to Andrew for entrusting her with the Vespa! Click here for more of KC and Andrew’s gallery.